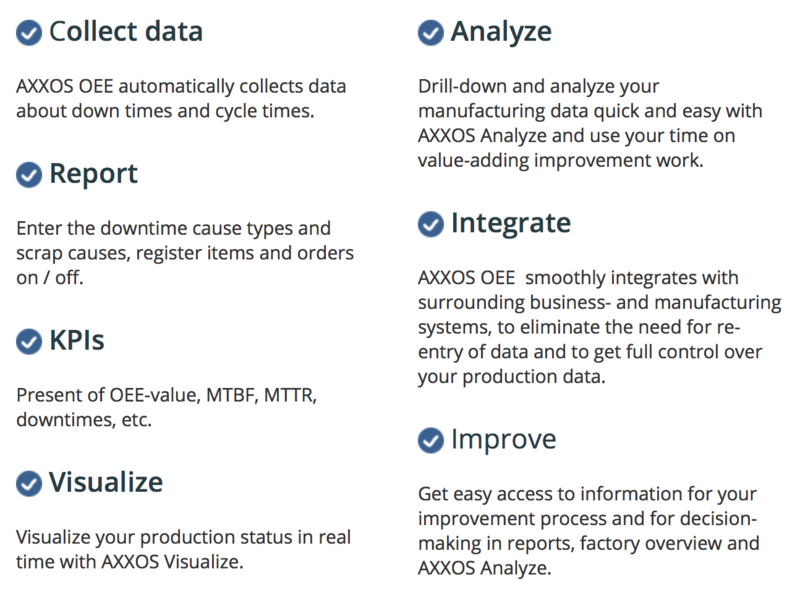 AXXOS-OEE is a software solution with a strong focus on production monitoring and optimization. 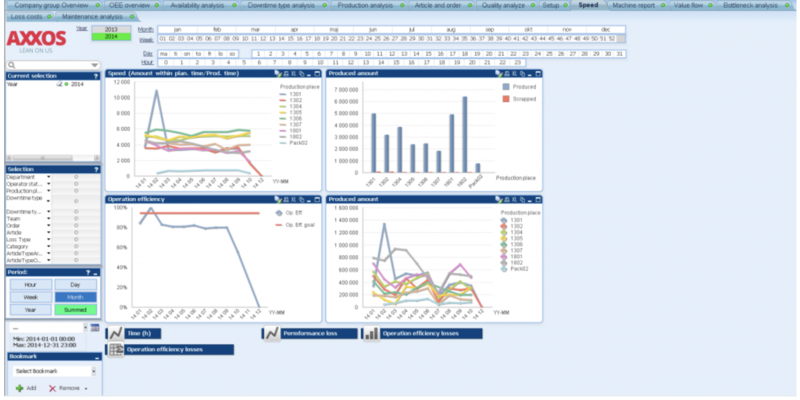 The application works well standalone in all different manufacturing industry areas. 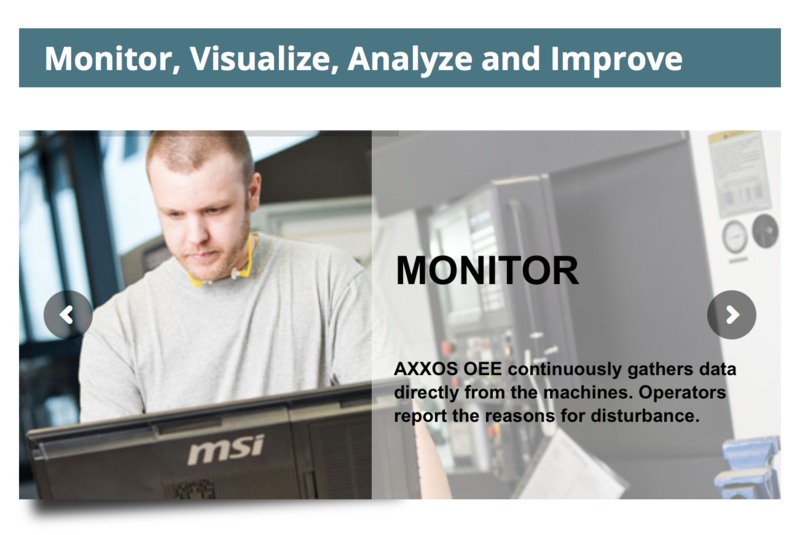 AXXOS OEE is also a top of the line shop floor component that smoothly integrates into MES solutions. 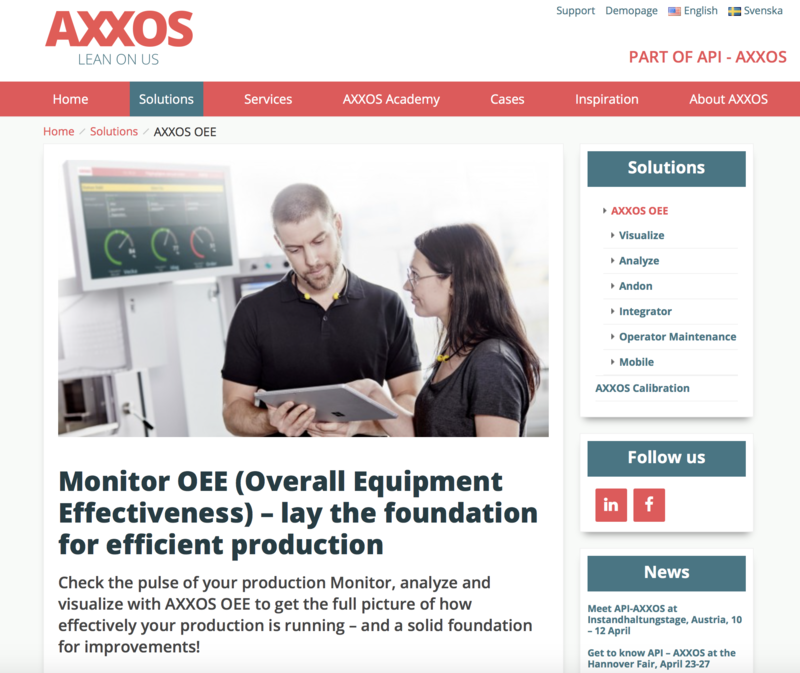 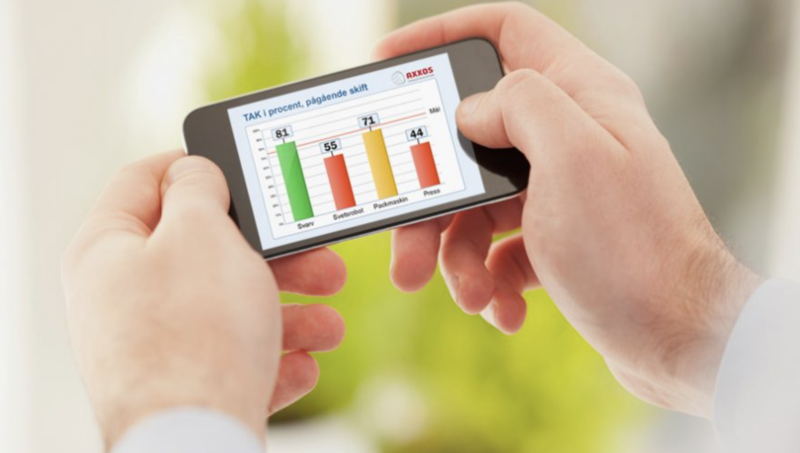 OEE (Overall Equipment Effectiveness) is a globally accepted standard for measuring manufacturing productivity. 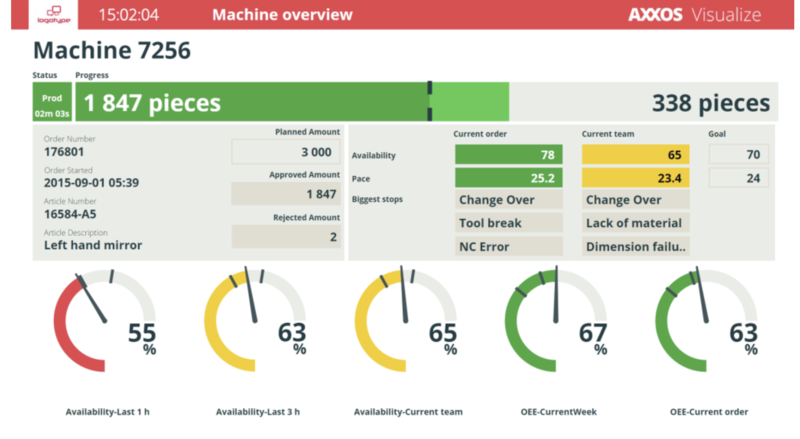 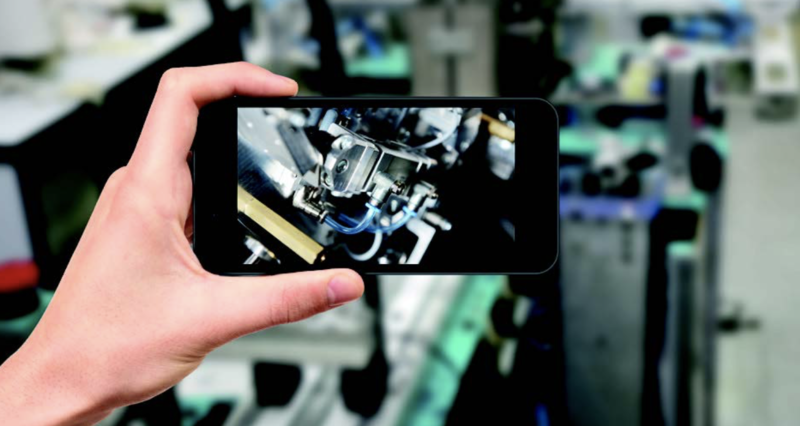 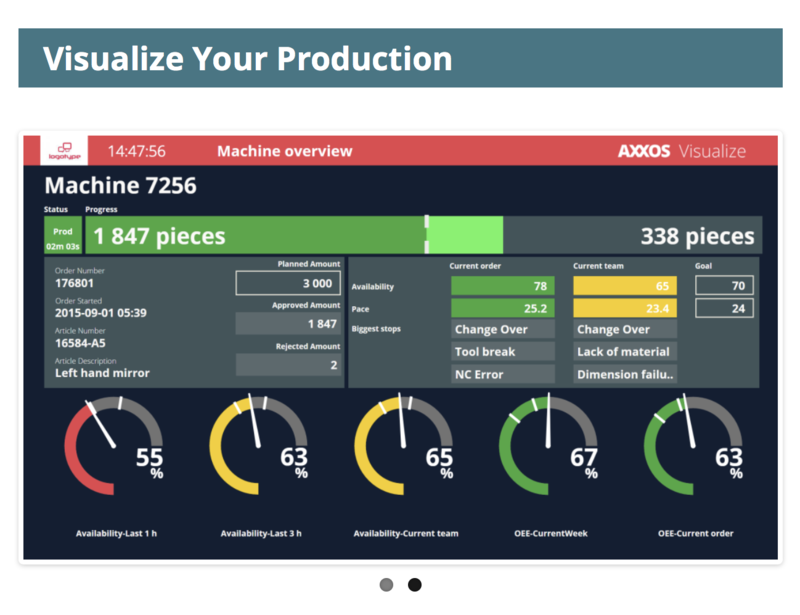 The system lets you to check the pulse of your production Monitor, analyze and visualize with AXXOS OEE to get the full picture of how effectively your production is running – and a solid foundation for improvements. 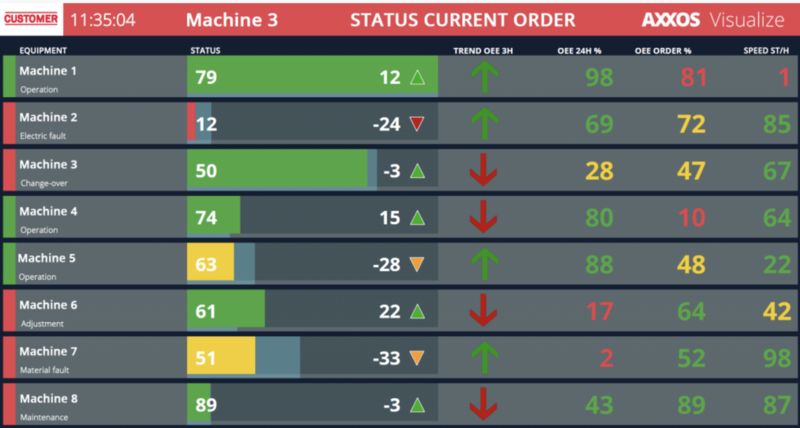 You can choose your platform: touch screen or office computers, tablets or mobile phones and use notifications to get alerts about disruptions. 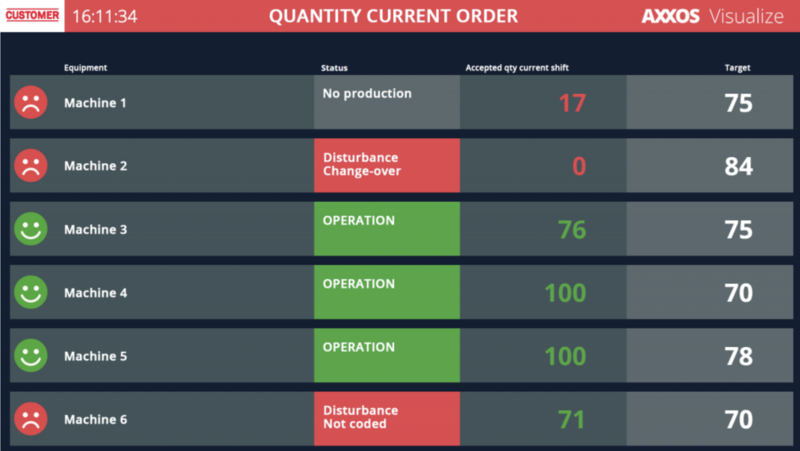 *Our development team can implement any idea of yours to improve your production system and increase the profit as the result. 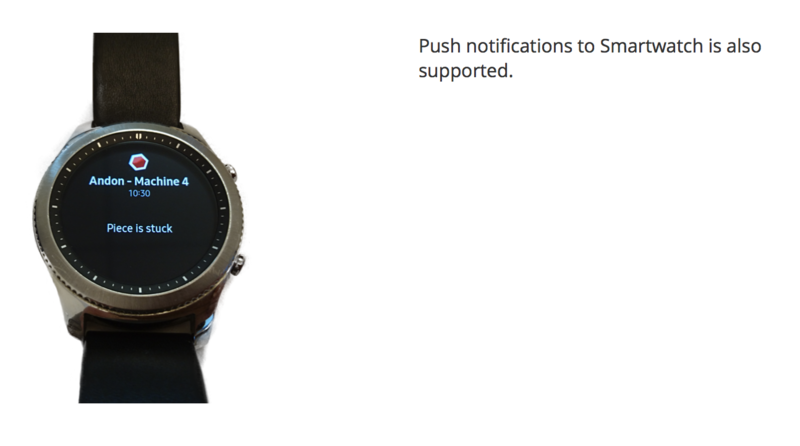 Just let us know by contacting us!